RIM, the firm that makes the popular BlackBerry handsets, has posted better than expected financial results for the last quarter, and reached the landmark of 25 million subscribers. Research in Motion's shares immediately jumped 20 per cent on the back of the announcement that the company had earned $518.3 million – up 26 per cent year on year. RIM has benefited from trying to expand its Blackberry product from its powerful positioning in business to the consumer market. 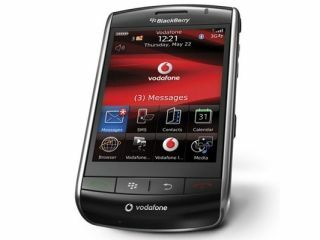 The likes of the touchscreen Storm and Bold handsets have helped RIM add 3.9 million new BlackBerry subscribers, pushing the total number to in excess of 25 million. BlackBerry's expectations for the coming quarter is that it will add another 3.7 million subscribers to that total. Another potential revenue stream for BlackBerry is its newly launched App World, for which it will take a 20 per cent slice of all third-party sales. BlackBerry App World also helps cement RIM's place as a direct competitor to the likes of Apple and the Google-backed Android platform.